Speakers: Jay Allen, Co-Founder, and Carl Touhey, Owner, Performance Self Storage Group Inc. Thinking of selling your self-storage facility or just want to increase your bottom line? This is the seminar for you. 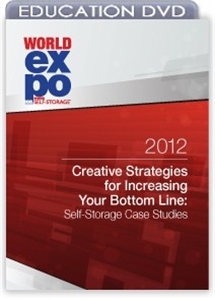 Learn about creative marketing techniques and effective operational strategies that will not only entice self-storage prospects but uncover hidden cash flow within your current tenant base. Stop leaving money on the table and act now while the market is improving. Our speakers unveil their secrets and techniques and show the specific steps they took to raise income and value on a handful of properties.